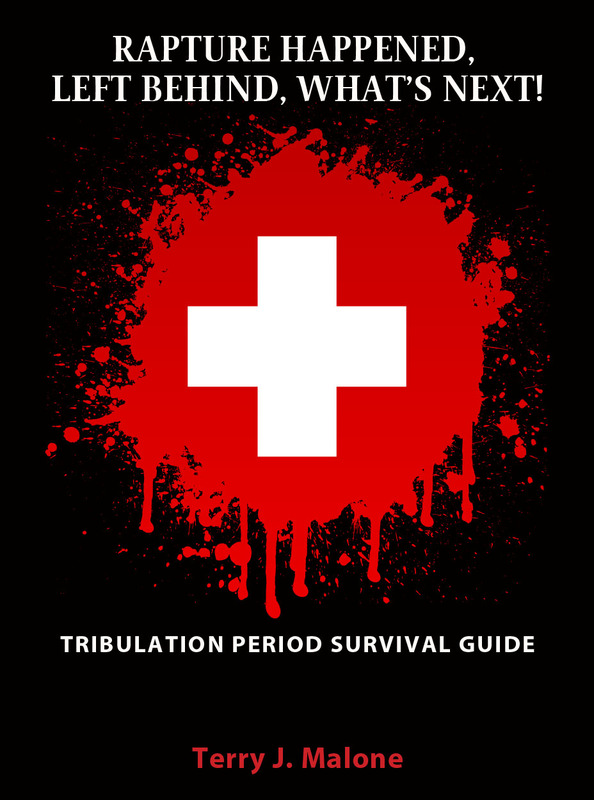 Tribulation Period Survival Guide: It Will Be Awful, But You Can Survive, Here’s How! For several years I have been researching various survival strategies that could be applied to the events of the tribulation period. Rapture Happened, Left Behind, What's Next! is specifically written and designed around what will happen during this time period and how to prepare for these events in advance. You need to get this book into the hands of every lost person you know. If you have Facebook (or other social media), a website or youtube channel, let your friends and readers know it is available. This book could literally save their life and save their soul. To read the full book description Click Here. To purchase a soft cover copy of Rapture Happened, Left Behind, What’s Next! click here! To download a free ebook copy of Rapture Happened, Left Behind, What’s Next! click here then scroll down! For Previous Prophecy Commentaries To read or view video click here. To learn what will happen during the tribulation period in chronological order from beginning to end click here. Prophecy Update: The Events That Will Likely Follow the Rapture & Their Order! Our only hope is in Christ Jesus. You can't get to heaven as you are because your sins have separated you from God (Romans 3:23). That's why God sent his only Son to die for the sins of the world, to bridge the gap between God and man (Romans 6:23). If you were good enough to go to heaven on your own merit, Jesus' death, burial and resurrection would have been unnecessary. Well, what do you need to do? Click Here to learn how to become a Christian. Already a Christian? Click Here to get a daily submission guide. Hell is real but you don't have to go there! Click Here to read my tract on the reality of death, the judgment, and the lake of fire. If you have been left behind, click on this link, print it out and accept Jesus Christ as Lord. It's not too late! If you have been left behind, this is what will happen next! click here. Rapture, Tribulation Period, And Beyond! is a chronological look at the tribulation period in the order it is believed to unfold. To describe it, I would say it is a thorough walk through the tribulation period packed with life like scenarios. You will also learn in-depth knowledge about the Millennium, the judgments, and the eternal state. The reason I wrote this book is twofold. One, to be a vehicle that will lead people to Christ now and during the tribulation period. Two, to give Christians and non-Christians alike an accurate chronological look at what will happen during this horrible time period. Rapture, Tribulation Period, And Beyond! gives you a timeline and accurate examples of what this time period will bring. It is a complete walk through of the tribulation period in the steps of one who has survived. If you have family and friends that do not know the Lord, I firmly believe that this book could be used of God to lead them to His Son Jesus. If the Calvary Prophecy Report has been a blessing to you, I encourage you to purchase this important ebook. I believe it will enhance your walk with the Lord and truly bless your soul. To sample or purchase a copy of Rapture, Tribulation Period, And Beyond! please click here. Here are some key features that you can expect to find in this book Click Here. 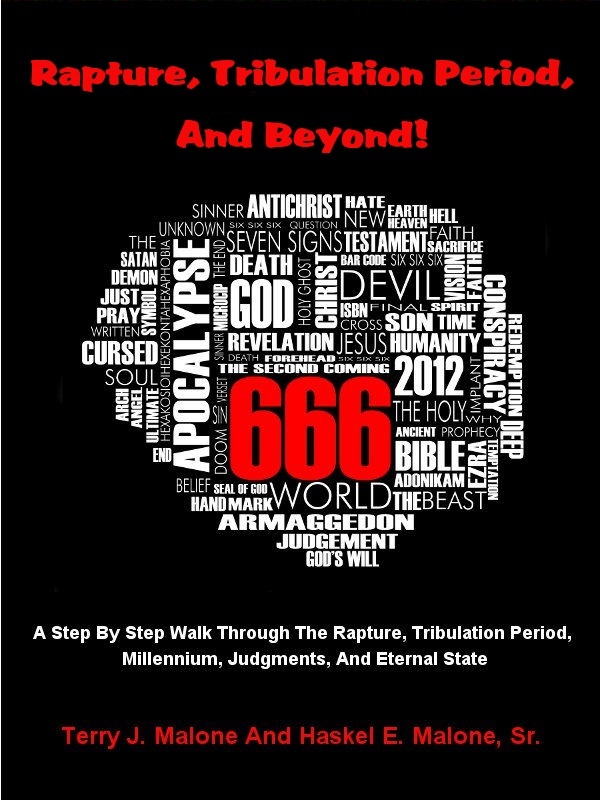 To order the paperback equivalent of this book (Revelation Revealed, 2003) please Click Here. Rapture: Left Behind? This Is What Will Happen Next! The Rapture Of The Church: What You Can Expect To Follow Pt. 2!